Urban Cultural Studies is pleased to announce a podcast series! 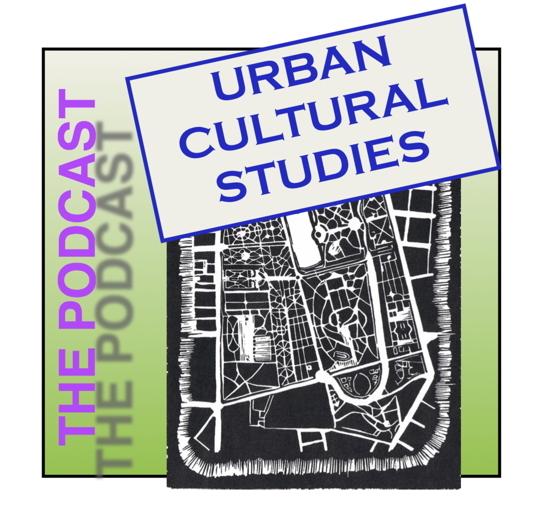 UCS Podcasts feature conversational interviews with scholars publishing on topics related to Urban Cultural Studies. Clocking in at around 20-30 minutes each, each interview is inspired by a recent publication in the field–usually an article in a specialist journal. Each interview strives to go beyond the article’s contents to address a general audience interested in urban scholarship. Other podcast formats will be occasionally incorporated to complement the interviews. Podcasts are available here, on Internet Archive, on the corresponding youtube channel, on iTunes, and also by direct subscription. UCS 003 Fraser on Antonio López García’s Everyday Urban Worlds: A Philosophy of Painting (6 August 2013) [BOOK TEASER] The author reads a concise draft introduction for a book in progress on the famed Spanish painter. Topics include art history, other Spanish painters (from Velázquez to Goya to Picasso, Dalí, Gris and Miró), Madrid’s urban space, temporality, and the book’s structure and interdisciplinary method (incorporating urban studies, geography, architecture, literature, cinema and more…). Born in Tomelloso in 1936, López García is an internationally recognized ‘hyperrealist’ painter, and in recent years his work Madrid desde Torres Blancas set an auction record at Christie’s for the sale of a work by a living Spanish artist.